While insisting on peaceful coexistence and communal harmony among indigenous tribes of North-East India, the Dimasa Youth Forum (DYF) would like to highlight few facts regarding the history of Dimapur, which was capital of Dimasa Kachari/Hidimba Kingdom before the advent of Ahoms in Assam. We would like to stress that the following write-up is not meant to reiterate any geo-political claim but is solely for the purpose of highlighting the history of the Dimasa Kachari kingdom that existed in medieval Dimapur. The Dimapur Ruins also called Kachari Rajbari presently looked after by Archaeological Survey of India (ASI) is the standing evidence of prosperous state of Dimasa Kachari Kingdom in the medieval period. The ruling clan was from among the sub-tribes of Kachari entity which remains unacknowledged perhaps due to ignorance. 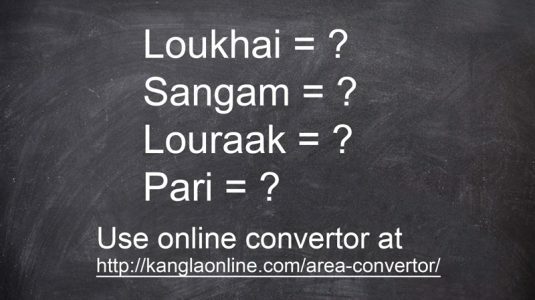 The word ‘Kachari’ is generic term used to denote certain groups of people by the British ethnographers considering the similarity of the language or dialect. But the fact is that not all these Kachari groups were rulers of the so-called Kachari or Hidimba Kingdom. A powerful group known as Dimasa was the ruling clan which is corroborated by historical sources and colonial archival records. According to Edward Gait, the invading Ahoms called the rulers of Dimapur as ‘timisa’. Gait advocated that the term ‘timisa’ in the Ahom buranjis (court chronicles) was the corrupted version of the word Dimasa. This fact is validated again in Census Report of 1931, where J. H. Crace, (Political Officer of Sadiya & formerly Sub-divisional Officer, North Cachar Hills) stated that seven Dimasa clans ruled Dimapur prior to shifting of the capital to Maibang (in Assam). These clans were Bodo, Thaosen, Hasnu, Langthasa, Jigdong, Haflongbar and Sengyung (See, Section II of Appendix, Census of Assam 1931). The Nagaland District Gazetteers (published in 1970) also gives an account of medieval Dimapur ruled by the Kacharis (See, page no.22-23). H. Bareh (editor of the Gazetteers) provides names of the important tanks – Padum Pukhuri, Jor Pukhuri and Bamon Pukhuri and credits it as all surviving historical relics of the old Kachari kings. Bareh also points to the fact that an Ahom scribe (writer) during the 16th century noticed six cisterns or tanks. The Gazetteers also recounts the construction of V-shaped stone pillars by the Kacharis, but it never mentioned about Dima raja marrying a daughter of Thezhuo Kemeduo. Neither any British record has any reference about the marriage, though many of the records have mentioned on the stone pillars and water tanks. The Dimasa Kacharis were never brought as labourers to work in the forest by the British to Dimapur in the 18th century. It is true that the British officials were in habit for conscription of tribal population in most of the present-day Northeast India for various public works as labour, coolies and for porterage. But the British presence in Dimapur by the 18th century is not supported by any historical facts. It was not until 19th century that the British marked its presence in Dimapur. In 1839, Mr. Grange (a British sub-Assistant of Nowgong District) who was sent for the first British military expedition against the Angamis noted very minutely the different Kachari villages and settlements which he encountered (See, Journal of The Asiatic Society, No. 90, June 1839). In his account, Grange further noted about the remains of a circular fort built and erected by the Kachari Raja Krishna Chandra Hasnu (1790-1813) at Beremah village during one of his invasions (this fact is also mentioned in Alexander Mackenzie’s book ‘The North-East Frontier of Bengal’, page no. 104). 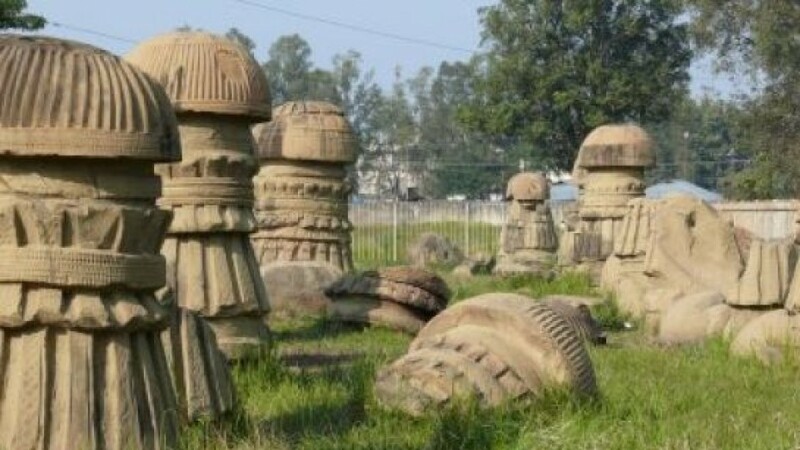 After Grange, it was Lieutenant Bigge in 1841, who for the first time gives a description of the Kachari monoliths in Dimapur. He noticed the pillars while he was on his way to a tour from Nowgong to Naga Hills. Lieutenant Bigge also mentioned the fact that a salt depot was opened in Dimapur and a market in Samaguting in order to pacify the raiding Angamis. However, a more detailed description of Dimapur can be found in Captain John Butler’s account who visited the place in 1845. On 28 November 1844, Captain John Butler, guided by Kacharis visited the monolithic site. Butler was so mesmerized by the Kachari monoliths that he ordered a sketch of the ruins to be prepared. This sketch of Dimapur ruins with brief explanation can be found in Survey of India collection, National Archives of India. Another British officer, Major H.H. Godwin Austen visited Dimapur in 1873. According to him, the ‘carved pillars were the most distinguished feature of the ruins;’ and such monoliths were not to be found anywhere in the Naga hills. The carved pillars, however, reminded him of the monoliths found in the Khasi hills and the similar carved stones existed in Kasomari Pathar (Journal of Asiatic Society of Bengal: 1874). And never in the history was any mention of the fact that Dimasa Kachari people were living under the patronage of the Angamis. However, colonial records mentioned about the various raids conducted by the Angamis over the Dimasa villages at North Cachar hills under Tularam’s territory for salt and human labour. The entire area of erstwhile Dimasa Kachari kingdom was still under Dimasa rule even till the death of Senapati Tularam and annexation by the British in 1854. It was only after the creation of Naga Hills district that Dimapur was added for strategic military interest and it remained with Nagaland thereafter. It is important to mention here that by the defeat at the hands of the powerful Ahoms the Dimasa King had left the kingdom in the 16th Century leaving behind some subjects in and around the Dimapur. The remnants were none other than the ancestors of the present Kachari or Dimasas. It is by destiny we are part of the State today.